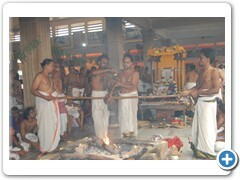 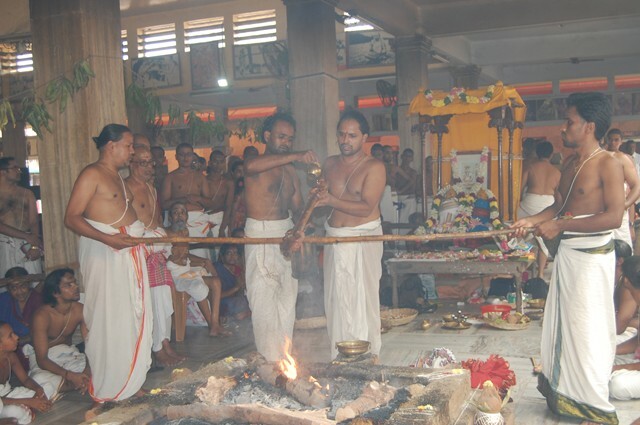 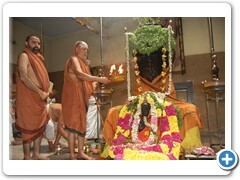 As part of the 77th Jayanthi Celebrations of His Holiness Pujyasri Jayendra Saraswathi Shankaracharya Swamiji, Atirudram, Rigveda Samhita Homam and Kamyartha Homam(Havan) were held at Shrimatham, Kanchipuram starting from the 16th August 2011. 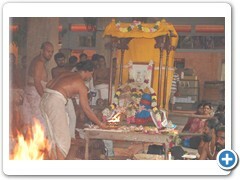 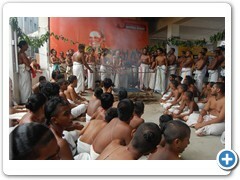 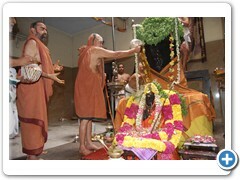 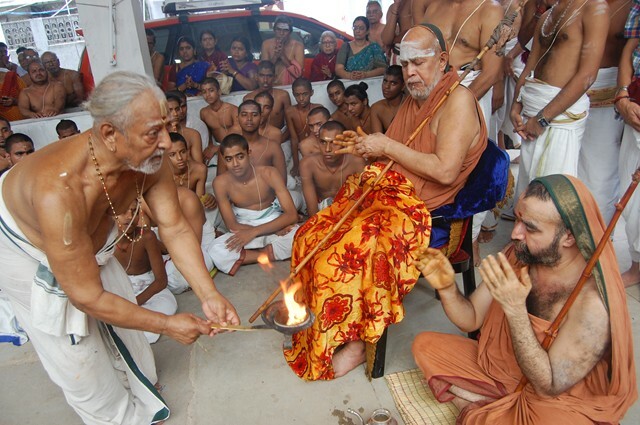 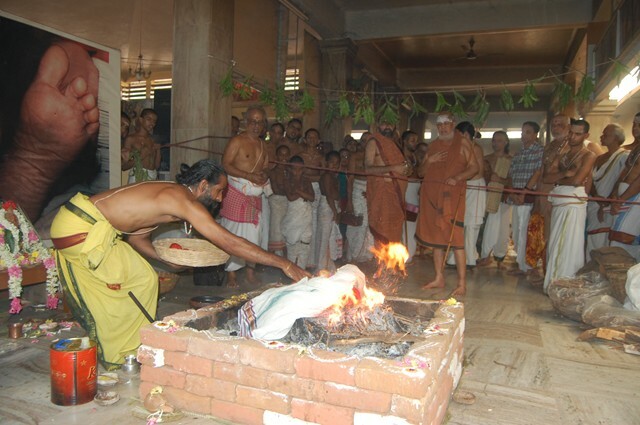 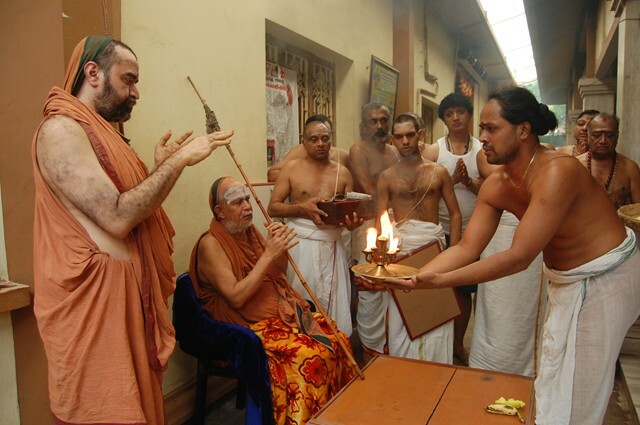 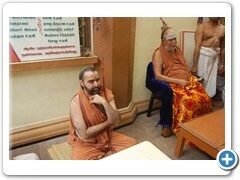 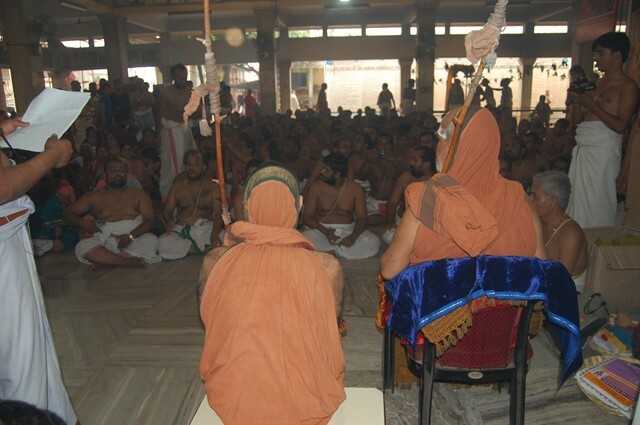 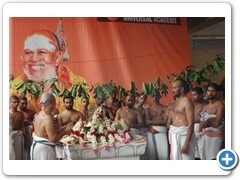 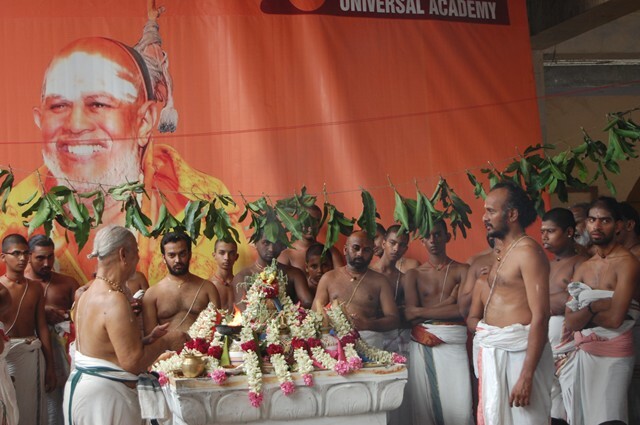 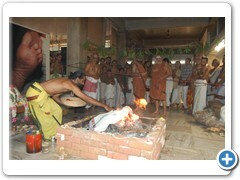 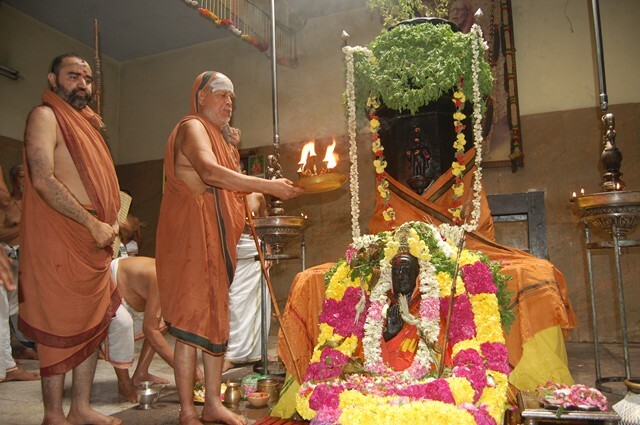 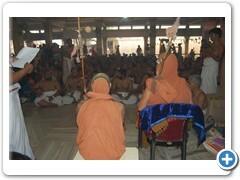 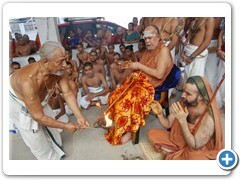 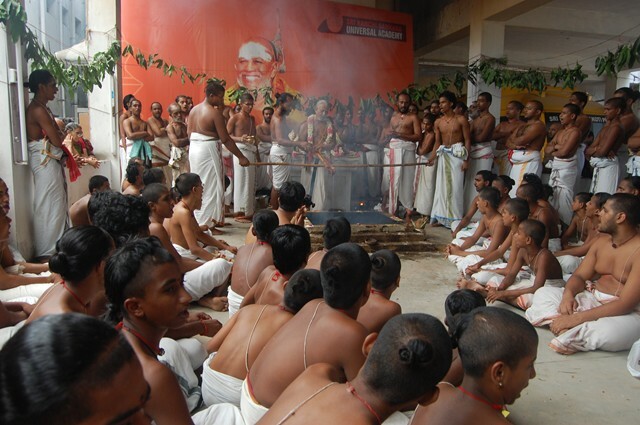 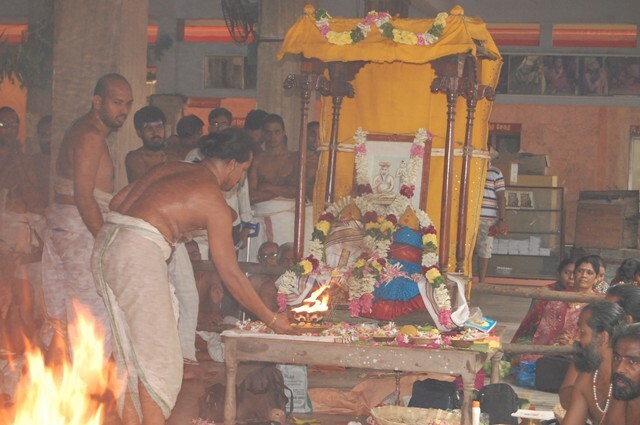 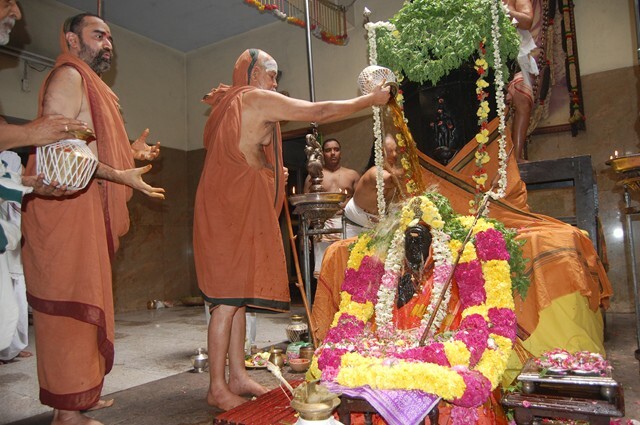 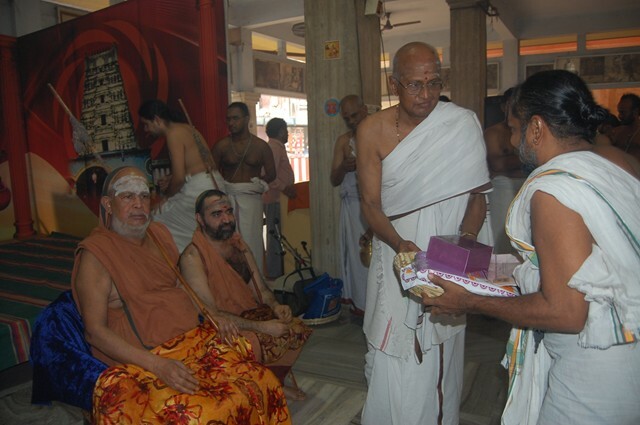 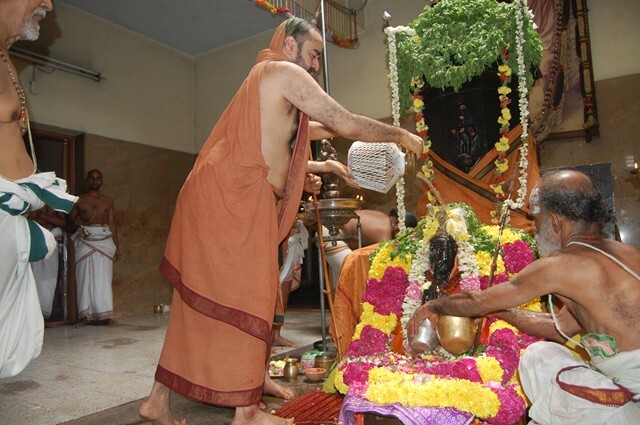 Poornahuti of the various Havans took place on 26 Aug. 2011 in the benign presence of Their Holinesses Pujyasri Jayendra Saraswathi Shankaracharya Swamiji and Pujyasri Shankara Vijayendra Saraswathi Shankaracharya Swamiji. 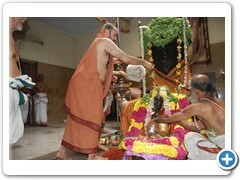 Their Holinesses performed abhishekam to the Adhistanam with the holy sanctified water from the Havans, followed by harati. 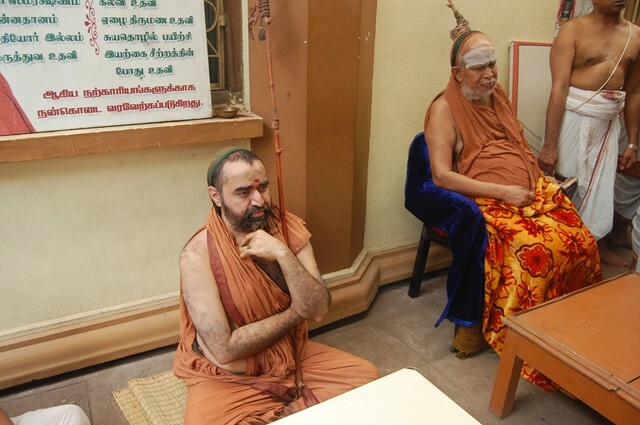 Vedic pandits and students from Shri Kanchi Kamakoti Peetham's Veda Pathashalas from various places performed the Havans and also participated in the Nitya Chatur Veda Parayanam being performed at Shrimatham every evening. 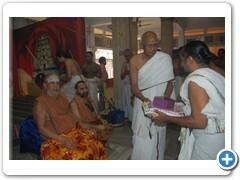 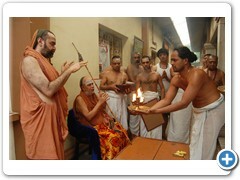 The Pandits and Students were given sambhavana in the presence of Their Holinesses.